by Sarah Willson | Children's Books | This book has not been rated. 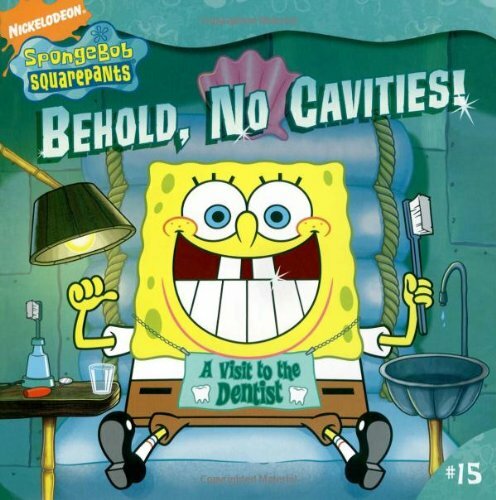 SpongeBob can't wait for his six-month checkup at the dentist! That morning he discovers that not only has Patrick never gone to the dentist, but he's never even brushed his teeth! SpongeBob calls his dentist and gets Patrick an appointment that same day. SpongeBob is expecting another cavity-free checkup and getting his name put up on the No Cavi-Tree again when he learns some horrifying news! Will Patrick's name replace SpongeBob's name on the No Cavi-Tree? Will SpongeBob ever be cavity-free again? This book was donated to Nina's Book Nook Little Free Library by a user of the library. Moved this book to our other Little Free Library location in hopes that it would find a new reader.